I’m sure you will have noticed that people can misuse Jesus’ life and teaching* to support their own ideas and notions about the world. In 2014 a prominent American politician, when quizzed about the growing gap between rich and poor said “Biblically, the poor are always going to be with us in some form or fashion”. In other words, who cares? The poor will always be here, why should I bother making myself uncomfortable? There is nothing that we can do. A shrugging acceptance that poverty is just the way it is and that there’s nothing we can do about it. To be fair he was, roughly, quoting Jesus. However, and that is a big HOWEVER, he totally missed the context and point of what Jesus was saying. So what Jesus saying? Let’s review the whole story. Jesus is in Bethany with his friends Mary, Martha and Lazarus, who he just brought back to life. Martha is serving (typical!) when Mary takes some expensive perfume and pours it on Jesus feet. The whole house begins to smell like a Lush shop. Then Judas speaks up “Why wasn’t this perfume sold and the money given to the poor? It was worth a year’s wages”. Of course Judas is the accountant so money is on his mind. Immediately, we can tell that Jesus did not say ‘who cares? The poor will always be here, there is nothing that we can do’. Why? Because it does not fit with everything else we know about Jesus and everything else he has said and asked his disciples to do. If you read this passage in a bible you will see that there is footnote after Jesus words (probably a small letter in brackets). That footnote will point you towards Deut. 15:11. So it seems that Jesus is quoting from Deuteronomy. And you can’t understand what he said – or what his disciples heard him saying — unless you understand what it is he was quoting. The passage Jesus was quoting is an ‘if … then’ statement. Like, for example, ‘if’ you are going to Ikea ‘then’ get me a lamp. Silly example I know, but you get picture hopefully. 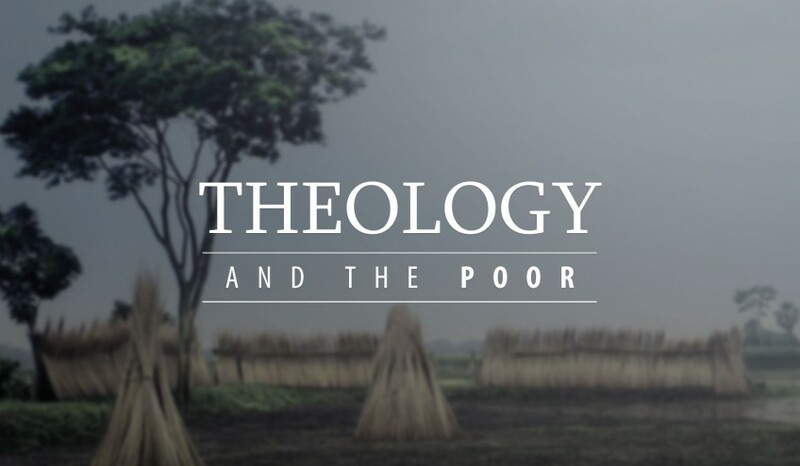 Jesus only quotes the ‘if’ part (the poor will always be with us) because he didn’t need to quote the ‘then’ bit — he knew that his disciples knew the rest of that verse: therefore (then) I command you, ‘Open your hand to the poor and needy neighbour in your land. That is what “The poor will always be with you” means in the Bible. In Deuteronomy and in Matthew, Mark and John. It means we are commanded to open our hands to the poor and needy. I mentioned Deuteronomy 15 in my last blog and I think it is worth us just reading that whole awesome passage. “At the end of every seven years you must cancel debts. This is how it is to be done: Every creditor shall cancel any loan they have made to a fellow Israelite. They shall not require payment from anyone among their own people, because the Lord’s time for cancelling debts has been proclaimed. You may require payment from a foreigner, but you must cancel any debt your fellow Israelite owes you. However, there need be no poor people among you, for in the land the Lord your God is giving you to possess as your inheritance, he will richly bless you, if only you fully obey the Lord your God and are careful to follow all these commands I am giving you today. For the Lord your God will bless you as he has promised, and you will lend to many nations but will borrow from none. You will rule over many nations but none will rule over you. Last time, I wrote about the choices we make and, using Deuteronomy 15 and Acts, I pointed to a picture painted of a place without poverty. It is the coming Kingdom that Jesus proclaimed. It is the Kingdom that we can choose to live under now today. That place without poverty only exists under God’s rule. As a friend often says, ‘it’s not about following God’s rules; it’s about living under God’s rule.’ When God’s people live under God’s rule, there will be no poor among them. God’s rule is a liberating rule, a rule of justice and blessing. It is a rule of peace and prosperity. Some days though it can seem like we are a long way off living under God’s rule. Some days it can seem like God’s Kingdom is just a mirage in the distance. What shall we do til then? * And any teaching in the bible for that matter!